Rita Marko has been with the City of Phoenix for slightly more than 16 years. 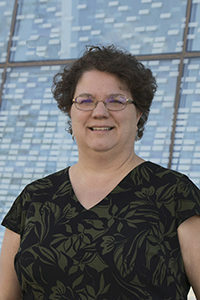 Initially hired as the Library’s Development Officer, Rita staffed the Phoenix Public Library Foundation and raised funds for critical library services. 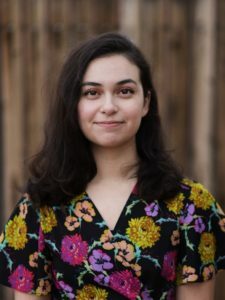 She was promoted to the position of Library Community Relations Manager, where she was responsible for media relations, marketing and the development of the Library’s website – the City’s first responsively-designed site. Rita transferred to the City Manager’s Office, where she supported two Deputy City Managers, and staffed three City Council Subcommittees and two task forces. Most recently, Rita served as the Management Assistant II in the Public Works Director’s Office. Prior to coming to the City, Rita worked for the Society of St. Vincent de Paul, raising $1.5 million in about 18 months. 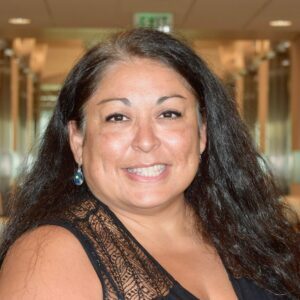 She also worked for the Skokomish Indian Nation in Washington state, serving as the community’s Health Planner, Economic Development Planner and Director of Economic Development. Rita has a Bachelors and Masters degree in Anthropology from the University of Arizona, where the focus of her studies was culture change and economic development. Her Masters thesis focused on the Cuban Women’s Federation as an agent of change for women in Cuba. 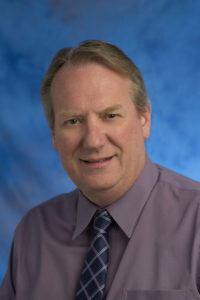 Rick Gerrard is deputy director of the City of Phoenix Office of International Relations and deputy director of Phoenix Sister Cities. He has served in this capacity since March 1999. Rick is responsible for handling matters of protocol and the programming of meetings and activities for international delegations visiting the City of Phoenix on official business. In addition, he is responsible for designing, organizing and coordinating international exchange-related activities and events associated with nine sister cities around the world. Prior to his arrival in Phoenix, Rick was deputy director of the Town Affiliation Association of the United States, better known as Sister Cities International, based in Washington, D.C. He spent nine years with Sister Cities International in various capacities where he managed numerous grants and designed and conducted international exchange, training and development programs worldwide. He has organized and conducted political, educational and trade delegations to more than two dozen industrialized and developing countries, including the first visit of United States mayors to South Africa after the collapse of apartheid in 1995; the first visit of US mayors to Vietnam after the normalization of diplomatic ties in 1996; and, the first visit of US mayors to Northern Ireland after the renewal of the peace process in 1997, just prior to the Good Friday peace accords of 1998. Rick has been involved in international affairs for over thirty years. Rick has an MA in Latin American history from George Mason University in Fairfax, Virginia, and a bachelor’s degree in social science and education from the University of Nebraska-Lincoln. He speaks Spanish and some Portuguese and served for over two years as a Peace Corps volunteer in Paraguay. Cynthia Rodriguez has been a self-employed Bookkeeper since 2001, working with various industries such as, a non-profit organization called Arizona RBI Youth Sports, various branches of the Medical field, Real Estate, Title and Escrow and the music production industry . She has also worked with the finance industry serving clients with banking and investment needs. She is excited to be working with Phoenix Sister Cities as their Bookkeeper and look forward to what the future holds with this new relationship. Born and raised in Prescott, Arizona. William started college back in 2015 and currently studies at Arizona State University. After getting his Associates in Business, he is now studying Accounting and Economics at the Tempe Campus of ASU. Currently, William’s goals are to get his certification to practice public accounting (or CPA). He began his interest in sister cities in high school when he was a youth delegate between his hometown and Suchitoto in El Salvador. William has become very passionate about organizations like Phoenix Sister Cities and how they share unique cultures around the world. 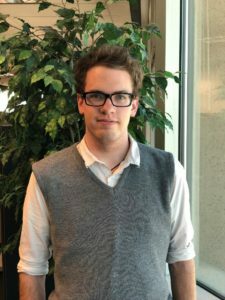 Because of them, he has often tried to study economic development and world histories on his own time to learn about ways to help connect people. When not working or studying, William tends to go on walks around Tempe and Phoenix. He likes to explore the valley and other parts of Arizona. Emily is originally from Arizona and currently lives in Tempe. Emily graduated from Northern Arizona University in May of 2018. She graduated with a degree in international relations and a minor in business. 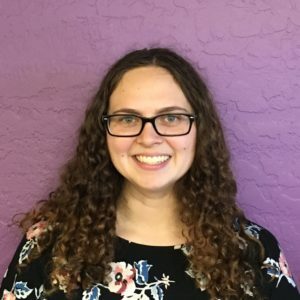 April has a master’s degree in social work from Arizona State University (ASU), where she specialized in direct practice with children, youth, and families. She also has bachelors’ degrees from ASU in communication and English literature. Prior to Phoenix Sister Cities, April oversaw a student-led department at ASU West and coordinated community service events for ASU students. April also has experience working with survivors of domestic violence, foster youth, recent mothers, and trauma survivors. April has studied abroad in London, England and taught English to third grade students in Chonburi, Thailand. April is thrilled to work with Phoenix Sister Cities and is passionate about removing barriers and increasing opportunities for all youth. Dulce Parra-Barrera is the current Assistant to the President/CEO. Dulce was born and raised in Arizona. She is currently in her last semester at Arizona State University where she is studying Linguistics with a certificate to Teach English as to Speakers of Other Languages (TESOL). In High School she had the opportunity to teach dance for various levels and her teaching instinct was brought to light through that experience. Prior to Phoenix Sister Cites, Dulce studied abroad in Seoul, South Korea and taught English to baseball players signed under the San Diego Padres. Her dream jobs would be to work as a dialect coach and/or to teach English abroad. During her free time, Dulce enjoys reading, practicing her Korean, listening to film scores, and discovering new foods. She hopes to one day speak more than 10 languages fluently. Sara Kalaoram is the current Assistant to the Youth and Education Program Coordinator. 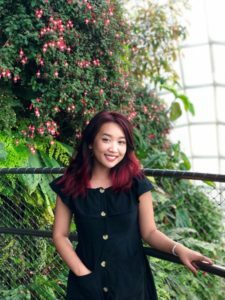 Originally born in Singapore, Sara holds a great appreciation for cultural inclusivity and the importance of maintaining foreign relationships. 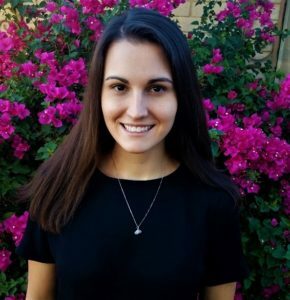 After moving from Las Vegas, Nevada to Arizona, she is now in her final semester at Arizona State University for a degree in communication, a year early. She is also a certified Public Speaking Mentor through CommLabASU. Through the lab, Sara developed a passion for working with youth and community-oriented events, finding them to be the most rewarding. She then interned for the Professional Development & Community Outreach Organizer and assisted in coordinating events and workshops for ASU faculty, Discover Financial Services, and the Boys and Girls Club of America. With a background in graphic design and web development, she has also created content for ASU West’s TEDx event. Since then, she has now focused her efforts on community development and cultural awareness. In her downtime, Sara enjoys traveling and off-the-beaten path experiences and aims to try as many authentic dishes as possible in their city of origin. She also enjoys watching cult films and oil painting.